If you need toner for HP Color LaserJet CM1312 MFP printers, you’ve come to the right place. You’re already aware of the impressive print quality this device can produce. 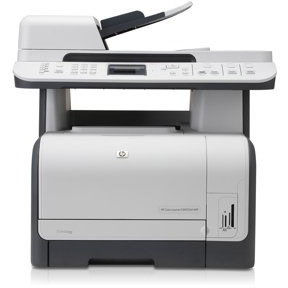 As a multifunction printer (MFP), it’s capable of printing, copying, and scanning images or documents. It boasts a 12 ppm (pages per minute) print speed, making this all-in-one device perfect for your home or small office needs. No matter what you’re working on, you need affordable toner, and that can be difficult if you’re buying OEM (original equipment manufacturer) cartridges. OEM HP toner cartridges work great, but they also come with a hefty price tag. Fear not, though – 1ink.com has got the quality and prices that you’re looking for. These remanufactured HP 125A toner cartridges are easy to install and they produce great work. Our cartridges install in your printer with the ease of an OEM cartridge and they give you the same stunning results, including the same product specs (page yield, shelf life, etc.). Buying toner shouldn’t be a hassle, so why make it one? Browse our cartridges below and find the right price on your toner!